Home Blog Supercharge your promotions with power on the go! Nowadays we all have such busy lives. We are constantly on the go – from the office to the gym to home, juggling a family, a work life and a social life. 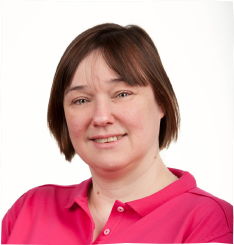 There’s an ever-increasing need to know that we can always rely on our mobile devices and therefore a need to charge our devices on the go. Our iPads, iPhones, and many other portable devices always seem to run out of battery power when we need them the most. 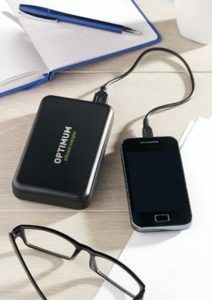 Powerbanks are portable chargers for mobile phones and tablets and have become one of the best-selling promotional products. They make a superb corporate gift for customers and staff. 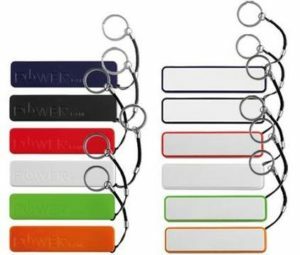 They are versatile as promotional gifts because they can be used with a variety of portable devices therefore are incredibly useful and something that is kept and used often, providing a great opportunity for increasing your brand awareness. We have over 40 different styles to choose from, in a variety of shapes, sizes and colours and in price ranges from £3 per unit to £30 per unit. Minimum orders start at 25 items. Here’s our guide to choosing the right promotional power bank to supercharge your promotions. Decide what size of battery capacity (milliampere hour or mAh) do you need? 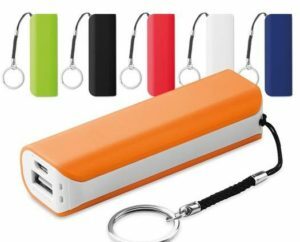 Most smartphones have batteries of around 1400-2900 mAh so a basic 2200mAh promotional power bank is suitable for most smartphones. Tablets and iPads have batteries in the region of 8000-12000 mAh. Therefore, it’s important to choose the right promotional power bank as a basic 1000-2000 mAh won’t be much use for charging a tablet. Decide what design and shape you would like? There are lots of different shapes and sizes from sticks, tubs and flat bars to bespoke 2D and 3D designs. Some also come with a wrist strap or a strap to hold the cable. They come with a micro usb cable as standard but double check with us as you may need to upgrade if you want the cable to be compatible with Apple products. Consider if you want to be able to charge more than one device at a time and whether you’d prefer to print or engrave your logo and contact details. Decide what your budget per item is? The higher the mAh, the more expensive the power bank will be. If you wish to charge more than 1 device at a time, you will need a high mAh. The number of colours you would like printing on the powerbank will also affect the cost price. And finally, decide whether you would like it supplying in a nice gift box. Basic two tone powerbank 2000, 2200 or 2600 mAh capacity. Red and blue indicator lights to see if the powerbank is charged. Product size: 21x30x90mm. Printing size: 80×13.5mm. Powerbank 2000, 2200 or 2600 mAh capacity with key ring included. Product size: 96x22x24mm. Printing size: 85x17mm. Power bank 4000 mAh in aluminium. Capacity for smartphone use, output current DC5V/1A. Includes USB cable with micro usb plug. Can be engraved or printed. 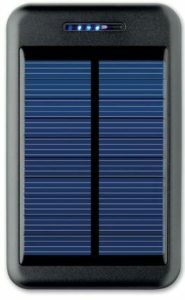 Solar charger with 11000 mAh capacity and includes a micro USB cable. Suitable for smartphones, tablets and other digital devices. 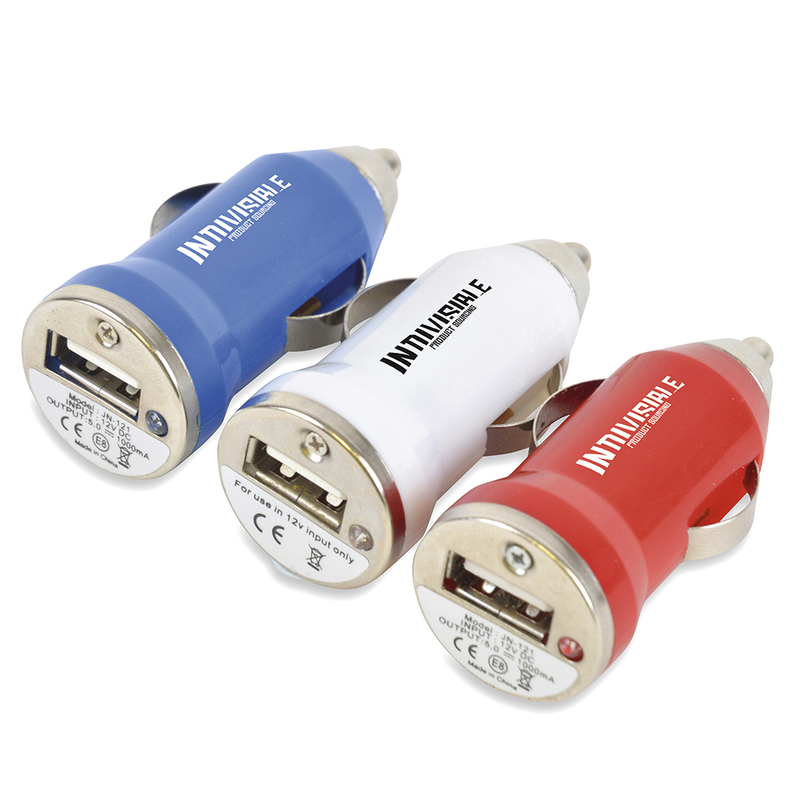 Promotional power banks are a perfect giveaway for events and exhibitions. How about promoting “Free Charging Station” and “Free Power Chargers “at your stand. Your traffic will be increased, giving you time to talk to your prospective customers and qualify your stands traffic.